The International Council on Monuments and Sites (ICOMOS) has recommended the inclusion of Roşia Montană, in western Romania, in the World Patrimony List. A decision on the matter will be taken at the end of June, at the Bahrain meeting of the World Patrimony Committee. The announcement regarding the recommendation was made by the Save Romania Union (USR) senator Vlad Alexandrescu, also a former culture minister. “The mining landscape in Roşia Montană hosts the most significant, extensive and technically diverse Roman gold mining project discovered so far, dating back to the period of the Roman occupation of Dacia,” he explained in a Facebook post. “The ICOMOS shows its concern regarding plans to reopen the large-scale mining exploitation in Roşia Montană. The ICOMOS also shows that, with this, the historical site is faced with an imminent, specific and proven danger, which could lead to significant losses of historical authenticity and cultural significance. As such, the ICOMOS believes that Roşia Montană should be included also on the list of the endangered world patrimony,” Alexandrescu also explained. In 2016, the Culture Ministry decided that the town of Roşia Montană and its surroundings should be classified as category A historic monuments. This meant that any intervention that may affect the area was forbidden, including the gold-mining project of the Rosia Montana Gold Corporation (RMCG). The two-kilometer perimeter around the town which was declared historic monument also included the mining sites, some of which are almost 2,000 years old. 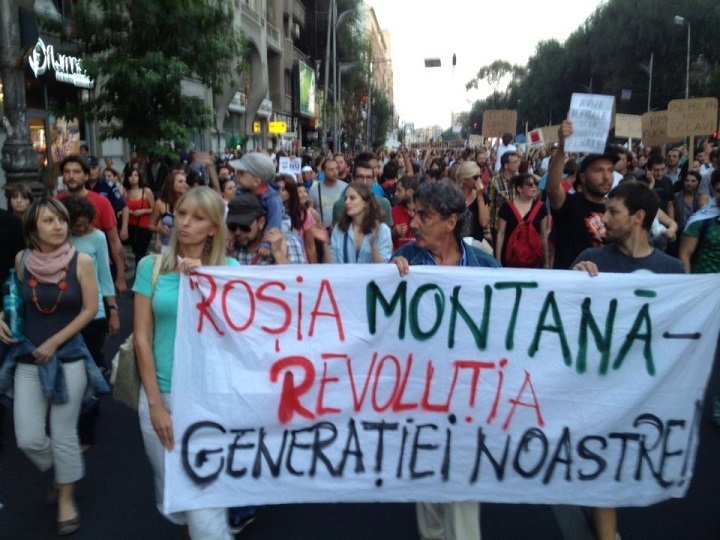 RMCG entered a dispute with the Romanian state at the International Center for Settlement of Investment Disputes (ICSID) after the mining project was blocked as the site was declared a historic monument. At the beginning of 2017, the Culture Ministry sent the Roşia Montană file to UNESCO to be evaluated for inclusion in the World Patrimony List. The Romanian sites that have been included on the UNESCO World Patrimony list are: the Danube Delta, the Horezu Monastery, the painted churches in Northern Moldova, the wooden churches of Maramures, the Sighisoara fortress, the Saxon churches in Transylvania, and the Dacian fortresses in the Orastie mountains.